The US Food and Drug Administration is urging patients to keep taking contaminated blood pressure medication amid shortages of the drugs. 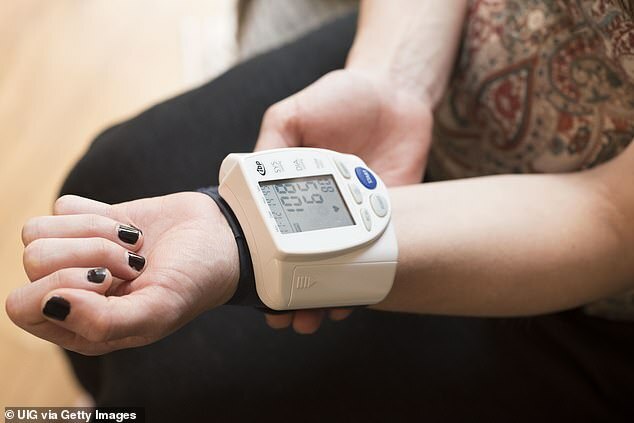 In July, the FDA began recalling some valsartan blood pressure drugs after discovering they had a chemical impurity that may race cancer risks. As the list of contaminated versions of the drugs grew, an alarming number of Americans were left without access to the life-saving medications. Now, the FDA has walked back its warnings, advising Americans to keep taking minimally-contaminated blood pressure drugs until manufacturers have had a chance to replenish this supply with impurity free ones. An estimated one in three Americans may need to take blood pressure medications. But since July, a slew of drugs containing valsartan, irbesartan and losartan have been recalled after the FDA discovered that they were contaminated with a chemical called NMBA. Studies in animals suggest NMBA may be carcinogenic. The FDA limits the amount of NMBA that can be in the drug without causing harm to 0.96. Drugs made by over companies were recalled as drug-makers scrambled to make up for the gap in the supply. The effected manufacturers are expected to ramp up production enough to restock drug stores within six months. But that’s a long time for patients to go without the drugs – and doing so will raise their risks of heart attack and stroke. So the FDA has temporarily nudged up the amount of NMBA it will tolerate in the drugs to 9.82 parts per million (parts per million) after determining that six months worth of this low level of exposure won’t meaningfully raise cancer risks. ‘The risk associated with abruptly discontinuing the use of these important medicines far outweighs the low risk that our scientists estimate to be associated with continuing the medicine until the patient’s doctor or pharmacist provides a safe replacement or a different treatment option,’ the FDA said in a statement on Thursday. Now the agency has identified 40 drugs that do not contain any of the contaminant. But even if your medication is on the contaminated list you should keep taking it, the FDA says. While avoiding carcinogens is, of course, important, being off blood pressure medication poses a more immediate danger. ‘FDA reminds patients taking recalled losartan to continue taking their current medicine until their pharmacist provides a replacement or their doctor prescribes a different medication that treats the same condition,’ the agency said in a March 20 statement. ‘Untreated hypertension (high blood pressure) leads to an increase in the risk of heart attacks and stroke. Chase Elliott got away with one?